How’s the bourrée? Ask the dancers. 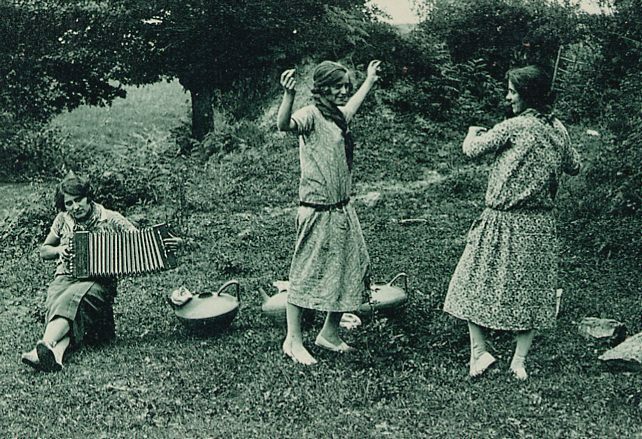 In response to Friday’s post about what it means to play a bourrée well, a number of Mel.net and concertina.net worthies responded that you know you’re playing a bourrée well when the dancers are dancing a good bourrée. This, indeed, is an excellent functional definition of “a good bourrée,” and you could do far worse than relying on utility as your criteria for success. I could (and did) quibble about how, while this is dance music, it’s not just dance music, but that doesn’t change the fact that it’s essentially a good point. Knowing your context — dance, concert, parking lot — changes everything. A number of folks responded, “Get thee to a dance floor!” It has been a while, for a bunch of reasons. It’s time to do just that. Previous Post What Does it Mean to Play a Bourrée Well?